Sareez.com is an online store for Apparels and Accessories for Women , Men and Kids . It had a great collection of Ethnic wears like sarees , Salwar suits , Lehnga Choli , Gowns , Western wear etc . One can get Excellent product at Affordable Price at this store . They provide free shipping across India , they also do international shipping . Since the holy month of Ramzaan is going on and after this there is Eid Festival so i had to do lots of shopping specially ethnic wears for Ramzaan and Eid . Earlier i used to shop from shopping malls and Boutiques but past few years i am shopping many products from online stores because of ease of shopping , good discounts etc . So this year also i thought of buying some clothes from some online stores . I was looking for stores with good ethnic wears like Salwar kameez and Anarkalis . 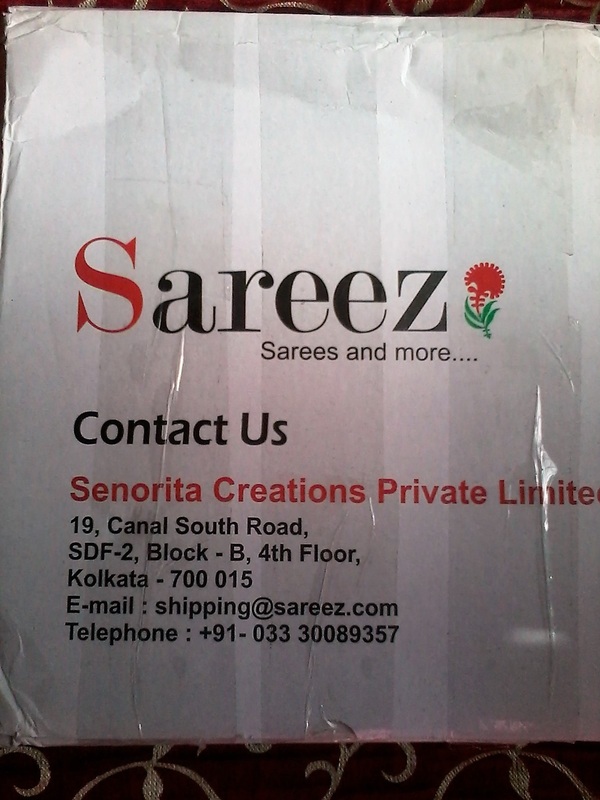 When i saw this site , i browsed for some salwar suits , i was amazed to see a great collection of clothes . It was too difficult for me to choose just one product from this site . I liked many and wanted to buy , but since this was a first time shopping experience from this site , i decided to order just one , so that i can check the quality of product and see their delivery service . 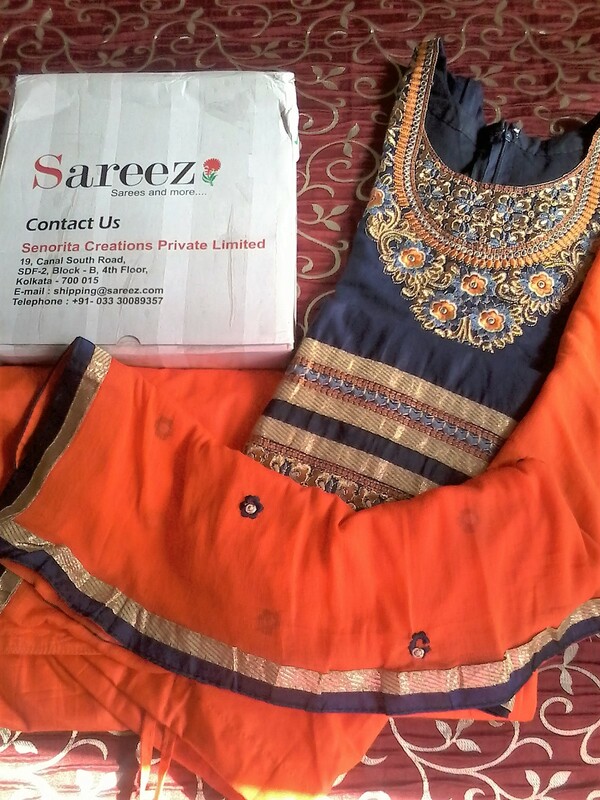 I chose one Salwar kameez from this site , they provide the option of stitching at an extra cost , i opted that also . After placing the order it took some ten days for the product to reach me , it took some extra time because of stitching option . Finally when i received the parcel i was so happy to see excellent packaging and a great product . The product was packed in small carton box , it was done with perfection . 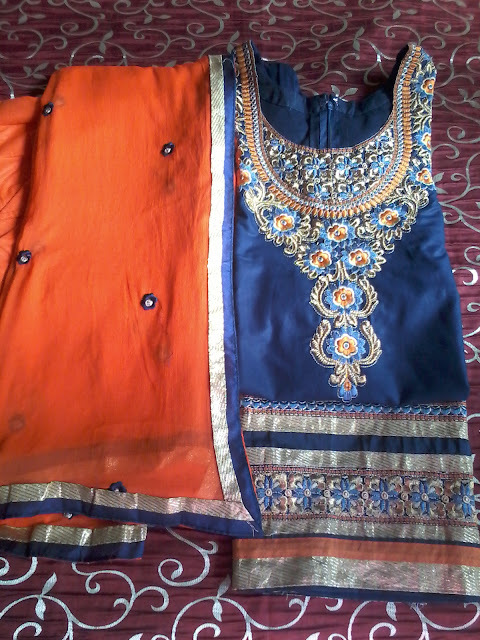 This is a beautiful set of Salwar , Kameez and Dupatta . I had given my measurement to them but still i was worried that whether it would be done perfectly or not . As most of time tailors do some or the other mistakes , but to my relief and surprise the stitching was perfect . They have beautifully stitched the suit with inner lining , Zip etc . So i am too happy to discover an Excellent and Reliable Online store from where i can buy beautiful ethnic wears of my choice , in an affordable price with free shipping and stitching option . One thing i would like to mention that many a times when we are shopping from any online stores , quality of clothes or apparels are not same as shown in the image . When we see the image at the website , the cloth looks great but when we receive it the color and quality differs , then we feel cheated that after spending a good amount we have not got what we were expecting . But in this case its not like that . The quality of cloth is too good and there is no difference in what was shown in the image at the site and what the cloth is . So its the same what i got , no poor quality product or different color which many other stores write that color of product may vary because of lighting effect and all . I just loved this suit and had good shopping experience with this site . Would surely recommend this to all , who like to buy good quality products at affordable price . Right now many discounts and promotions are going on at the site , one can check and indulge themselves in buying some great ethnic wears .